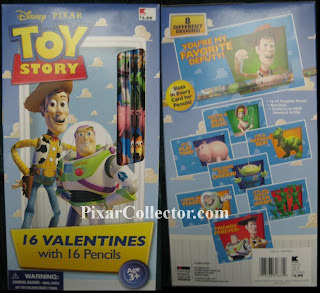 Kmart has stocked some cool Toy Story Valentines! They come packed with pencils for $3.99. If you find Pixar Valentines please email us and let us know!